By Charlotte Debeugny, a British nutritionist and author, based in France. So, if ‘Eyes are the windows to the soul’ according to Peng Liyuan, then possibly ‘Hair is the mirror of our mental well-being’ according to yours truly! There’s so many things we have to accept in relation to hair growth as we age; the peachy fluff on our cheeks and the random dark springy bristles which appear overnight on our chins amongst other places (!) But, what many women find the most difficult to accept is brittle and thinning hair. Our hair is rightly or wrongly closely linked to our femininity and our sense of self. Hair loss is often the final straw, our last stand against the forces of aging. Hair loss in men is universally acceptable (and expected). Hair loss for women is stressful and deeply upsetting. The main type of hair loss in women is telogen effluvium, a general ‘shedding’ of hair which is seen when washing or brushing our hair. And, you might be interested to know that women naturally shed up to 100 hairs a day, so please do not panic when you brush your hair! It is the extreme shedding, often described as ‘coming out in handfuls’ which causes concern. This should be distinguished from alopecia areata which is an autoimmune condition caused by our immune system attacking hair follicles and which results in bald patches. Why does our hair change as we enter the menopause? 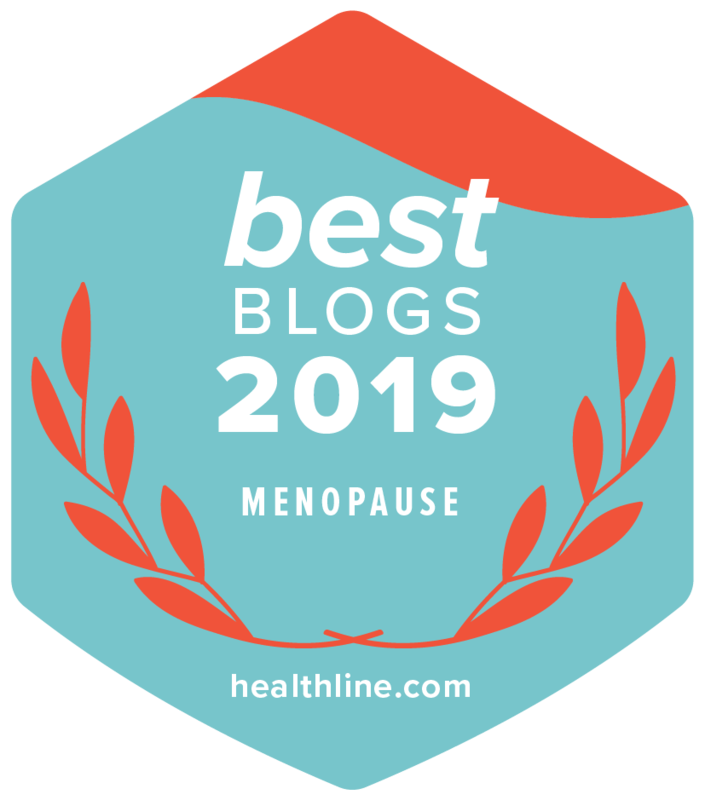 Once we head into our menopause It’s mainly due down to the usual suspects – hormonal changes and lower levels of both oestrogen and progesterone, which in turn causes an upwards shift in the amount of circulating testosterone. This causes hair to become progressively weaker and more brittle. There are also non age related causes of hair loss including an impaired thyroid and low iron levels, both of which are also associated with tiredness and fatigue. Please do have a discussion with your doctor to if you are experiencing these symptoms with your hair loss. Other causes can be medications such as anti-depressants, blood pressure pills and certain statins. Stress, particularly rapid weight loss can also cause temporary hair loss and it’s interesting that hair loss is often only noticed 2- 3 months after the ‘stressful event’ occurred. This reflects the time lag in the hair growth cycle. Once the hair falls out, the follicle is then dormant for 3 months before it starts growing again. Nutrition for Hair – What are the best foods to prevent hair loss? We-ll (and this is said with a deep sigh!). There is a huge range of supplements, some of which are very expensive, all promising to protect and nourish your hair. The honest answer is that a healthy and balanced diet generally does provide all the nutrients that you and your hair need. Do ensure your diet contains sufficient protein – meat, fish, poultry or vegetarian alternatives such as eggs, beans, lentils and tofu. Protein foods are essential for healthy hair and a diet which is too low in protein will place the hair follicles in the dormant stage (ie no hair growth) for a longer period of time. Vitamin E which is found in plant and vegetable fats places a role in supporting blood flow to the scalp and ensuring the hair follicle is nourished. Finally, zinc, a key mineral helps to ensure the hair follicle is healthy as well as promoting normal hair growth. Zinc is found in most ‘whole foods’ as well as meat and oysters! How can you ensure you diet contains these nutrients? Back to my favourite word ‘balance’. Excessive zinc from supplements is also linked to hair loss and excessive Vitamin E from supplements has been linked to a small increase in all-cause mortality rate. So, it’s better to tweak your diet and include more of these nutrient rich foods as opposed to taking supplements. Ensure every meal or snack contains a small amount of protein (protein power! )For example: natural yoghurt for breakfast, 2 eggs for lunch, a handful of nuts as a snack and a lentils/beans or a serving of animal protein for supper. Final thoughts. It is truly one of those vicious cycles. The more you worry, the more you focus on your hair loss. If it is stressing you or getting down, do talk to your partner or a friend about it. You usually find that while your hair condition may be very obvious to you, they have not noticed any difference in the condition or thickness of your hair. It’s so important to manage your stress levels, another phrase which is easy to say and sometimes so much harder to do! Find your ‘mediation’ in doing an activity you enjoy and which allows you to switch off. Our bodies are a real work of art, and incredibly capable of repairing and healing, given the right materials and care and this applies to every organ and tissue, from our liver to our hair follicles. Charlotte Debeugny, a British nutritionist and author, based in France.